As it happens, 18 January is the Feast of the Dedication of the College church – the anniversary of the first ceremony held in the newly opened church in 1888: the episcopal consecration of a former rector, Henry O’Callaghan (1827–1904). It is most appropriate that this feast coincides with the start each year of the Week of Prayer for Christian Unity. Over the centuries, the College has not simply been a seminary training priests but also an institution representing a non-Catholic country in the heart of Rome and acting as a beacon for unity. British visitors to Rome often paid their respects to the College, including many non-Catholics. We think of the royal physician William Harvey (1578–1657) who visited in 1636, the poet John Milton (1608–1674) in 1638, and the diarist John Evelyn (1620–1706) in 1644. Under the rectorship of Nicholas Wiseman (1802–1865), high profile guests included the future Prime Minister, William Ewart Gladstone (1809–1898) in 1838, and the future convert cardinals, John Henry Newman (1801–1890) in 1833 and Henry Edward Manning (1808–1892) in 1838, who, at the time of their visits, were prominent Anglican clerics. Another famous convert, Ignatius Spencer (1799–1864), a student for eighteen months under Wiseman, launched a crusade of prayer for the conversion of England and reunion. The ecumenical movement rapidly grew in the twentieth century and was promoted by the Second Vatican Council. In December 1965 the College Rector, Monsignor Leo Alston (1917–2006), invited the Archbishop of Canterbury, Dr Michael Ramsey (1904–1988), to stay at the College during his ground-breaking visit to Rome the following March: this was to be the first official visit of an archbishop of Canterbury to a pope since the Reformation. It seems that both Monsignor Alston and the then Archbishop of Westminster, Cardinal John Carmel Heenan (1905–1975), considered the College to be a natural place for such hospitality, given its former function as a Hospice for pilgrims to Rome. Archbishop Michael Ramsey arriving at the Venerable English College, 22 March 1966, escorted by Bishop Thomas Holland, of Salford. On the afternoon of 22 March 1966, Archbishop Ramsey finally arrived. ‘Out he got,’ recalled Brian McEvoy, ‘and acknowledged the applause with that peculiar arm-gesture of his which was to become so well known. Obedient to the photographers, he dived in among us and began to shake all the hands which strayed in his direction’ (The Venerabile, vol. 23, no. 4, p. 216). Comparisons were soon made with John XXIII. As far as the College community was concerned, his stay consisted of numerous comings and goings. 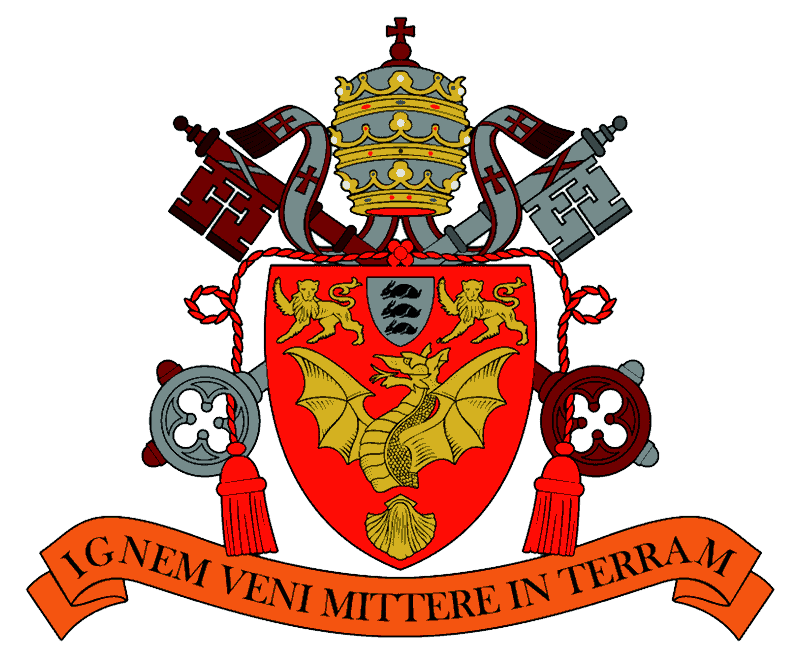 Visits were made by Cardinal Augustin Bea (1881–1968), President of the Secretariat for Christian Unity and the English and Welsh Hierarchy was represented by Bishop Thomas Holland (1908–1999), of Salford. It is perhaps not too imaginative to say that there is a certain air of satisfaction and fulfilment in the College today, which is larger than our own generation of students, but attributable to all those who have prayed here for England before us. Because, after all, the fact that the College can play such an important ecumenical role is a gratifying vindication of its tradition — though one which could not have been envisaged a very few years ago. And, as a College, we grasp the opportunity in this new spirit. from his position at the centre of a very large group (containing, in fact, all of us) Dr Ramsey gave us very frank answers to our uninhibited questions. In this the Archbishop showed a fine grasp of the need to be completely open with the younger generation and he responded very well. The car engines are switched off while the Rector assures the Archbishop of our prayers and best wishes. Dr Ramsey then gives his blessing. In reply to our three cheers, the Archbishop tosses in the air his Canterbury cap, and that is his final good-bye. For as he gets into his car, the motor-bikes rev furiously, drowning all other impressions, and with a smooth swing the Mercedes follows them out of the cortile. It meant so much to me to have the peace and happiness of the College as a background during the strenuous days on my visit, and I appreciated so much the warm friendship shown by you and your colleagues, and by the whole body of students. I shall never forget my time with you, and I shall always feel great warmth towards the English College. Life gradually returned to normal. In the days following the Archbishop’s departure, several students were ordained at the church of Sacro Cuore on the Piazza Navona, the College team was decisively beaten by the Scots, a small fire broke out in the common room and long readings were finally ended in the refectory. The experience of the Archbishop’s visit, however, left a deep legacy. The customary Prayers for the Conversion of England were quickly replaced by Prayers for Christian Unity. In time, Anglican exchange students graced the College community and, since 1966, every archbishop of Canterbury coming to visit a pope has been invited to the College and to consider it as their home while in Rome.